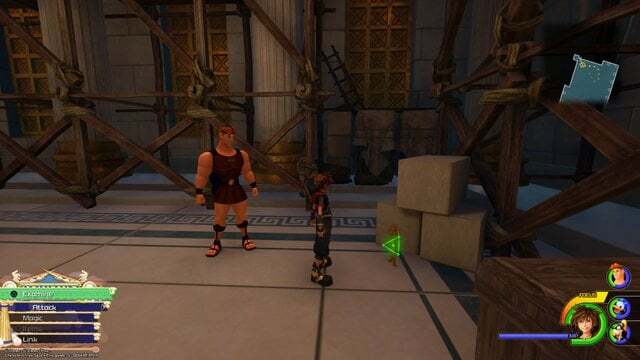 Golden Hercules Figures are a one-off collectible in Kingdom Hearts 3. Start at the Thebes – Overlook save point. There’s a doll on a bench right behind it. 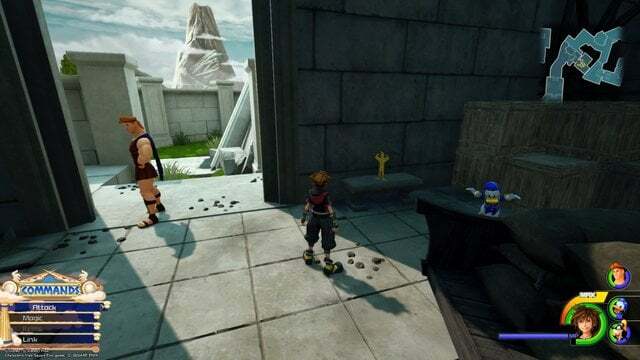 Leave down the stairs from the save point, and follow the path to the rooftops. 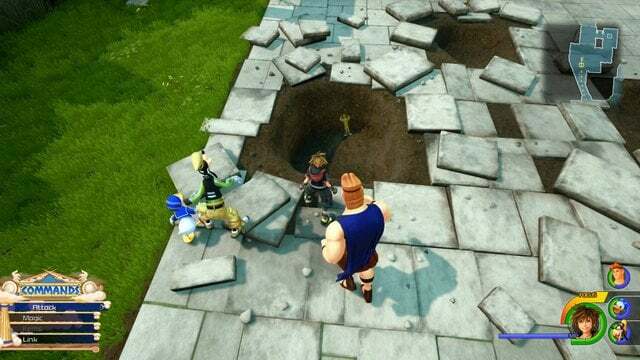 When you slide off, land on shield of the giant statue. It’s on the left. As soon as you make it to the Garden, look for an entry way into a building on the left. It’s against the wall to the left. This one is in the Garden in one of the holes. Lastly, head through the Big Olive, past the corridor that used to be on fire, until you make it to the Alleyway – it’s a grassy pathway. There’s a large building you can enter here on the right. 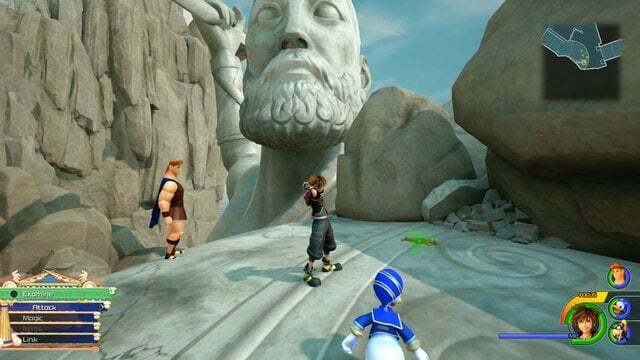 The Hercules Figure is in the back left corner. 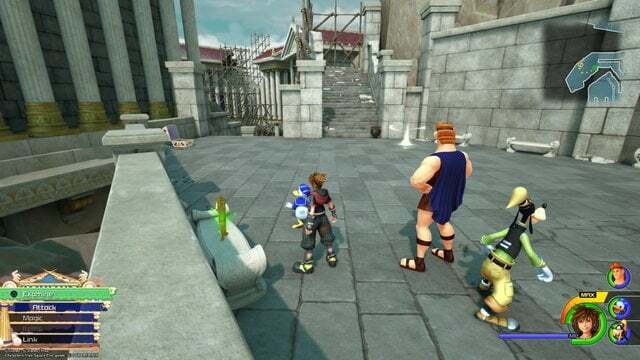 When you’re done, look for a boy with a stand in Agora, the main town square of Thebes. He’ll take the Golden Herc Figures and reward you with a Hero’s Belt, a piece of armor.